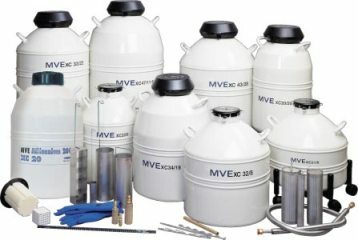 Aluminium cryogenic storage tank with canisters for storage for samples. SC series is designed for small capacity needs, long term storage and low liquid nitrogen consumption. XC series is designed for large storage capacities needs and low liquid nitrogen consumption. Many other models, with square canisters and plastic boxes for 2ml cryotubes are also available.